One Plus 6 is equipped with Qualcomm Snapdragon 845 processor and 6GB of RAM. It is one of the " The Speed You Need " products of this year. 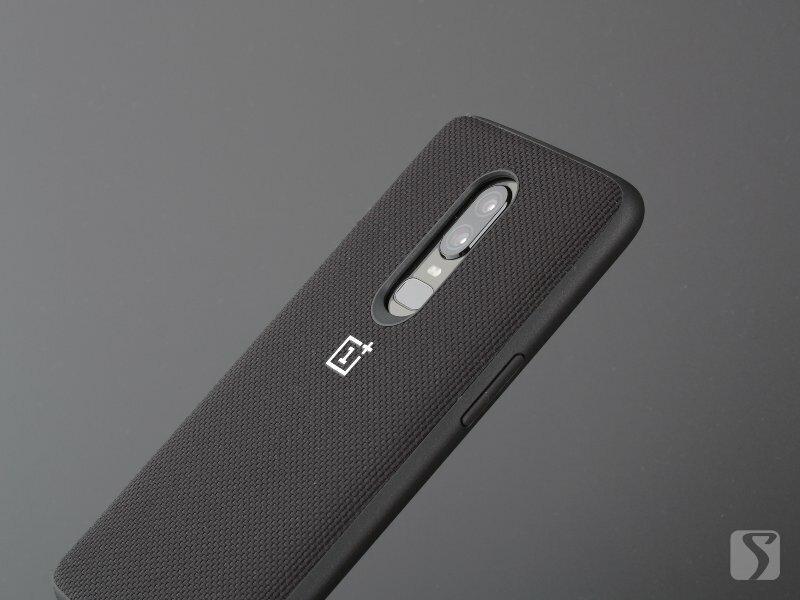 Although the starting price is slightly higher than last year's OnePlus 5, the price of 3199 (about $450) continues to be consistent, cost-effective positioning tradition. But the price/performance ratio needs to be proved by enough good performance. Can the display performance of OnePlus 6 reach the expectations of consumers? 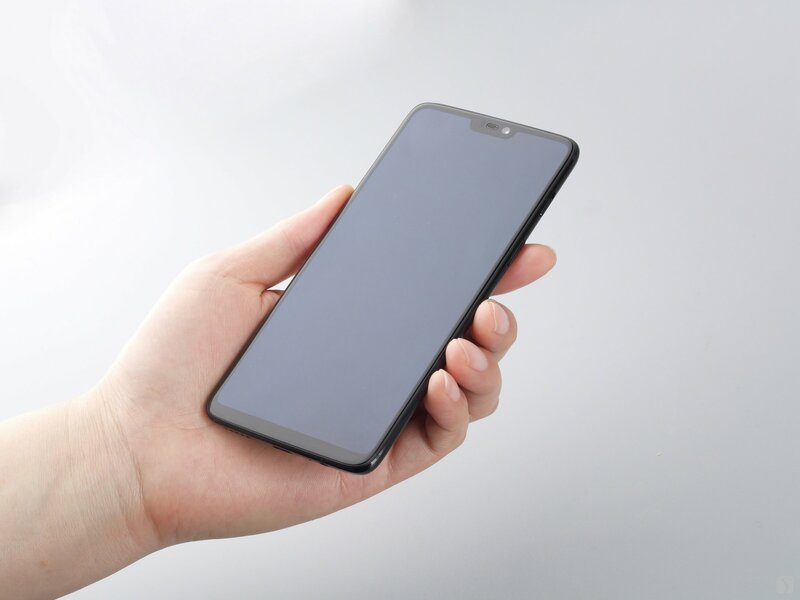 One Plus 6 uses the most popular full-screen and profiled cut design, 6.28-inch rounded edge and notch panel, which accounts for about 84% of the front. Samsung's AMOLED panel with a resolution of 2280x1080 pixels in 19:9 ratio, since the sub-pixels of the AMOLED panel adopt the Diamond-Pixel Pentile arrangement mode, the actual pixel density is one-third lower than that of the RGB-arranged TFT panel, to be about 320 PPI. 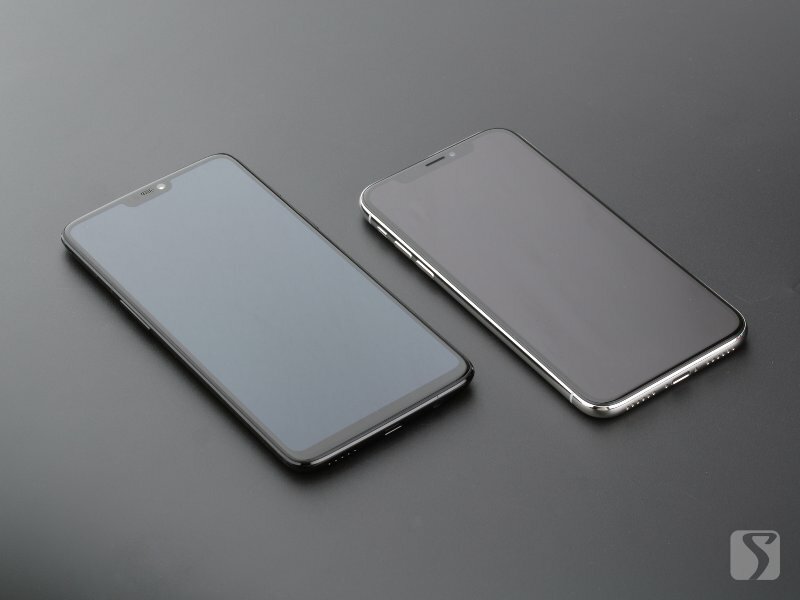 The color and ultra-high contrast of the OLED panel, as well as the technical advantages of the response speed block and the smear are naturally more suitable for mobile phones with small size and short user replacement period. One Plus 6 runs the H2 OS based on Android 8.1, and users who like toss can also manually upgrade to the latest Android P Developer Preview. One Plus 6 provides 5 optional display modes: Default, sRGB, DCI-P3, adaptive [near NTSC] and Custom, as well as full black and white reading mode. By convention, the objective performance test of color and brightness of the screen is done by SpectraCal Calman. Color difference: A measurement used to indicate how much a color deviates from standard. The higher the ��E, the more inaccurate the color. This is because the human eye is only capable of detecting color difference at certain thresholds. It is hard to detect if average ��E is below 5, less than average 3 ��E and less than 5 ��E is excellent, the smaller the ��E is, the better the color is. Between 5 to 10 ��E is detectable, over 10��E is significantly detectable. Although one plus 6 provides a variety of display modes and custom color temperature functions, but the gray scale performance is more general, in sRGB and P3 mode, the screen color temperature is lower than the standard 6500K, the overall color is warm red, relatively speaking, the adaptive mode is actually slightly greenish but not obvious while color temperature is relatively accurate. Since the manual "color temperature adjustment" can only adjust the curve of the green color, there is no improvement on the color standard. The color and grayscale contrast of the screen is slightly higher than the Gamma2.2 standard, but within the normal level. In terms of color, the OnePlus 6 sRGB mode has improved significantly compared to previous generations, and the gamut coverage has finally reached 100% standard. The red and other warm-tone displays no longer have the usual partial orangeization dynamic loss. One Plus 6 automatic brightness peak value exceeds 620cd/m2, which can maintain good content readability in outdoor sunlight. 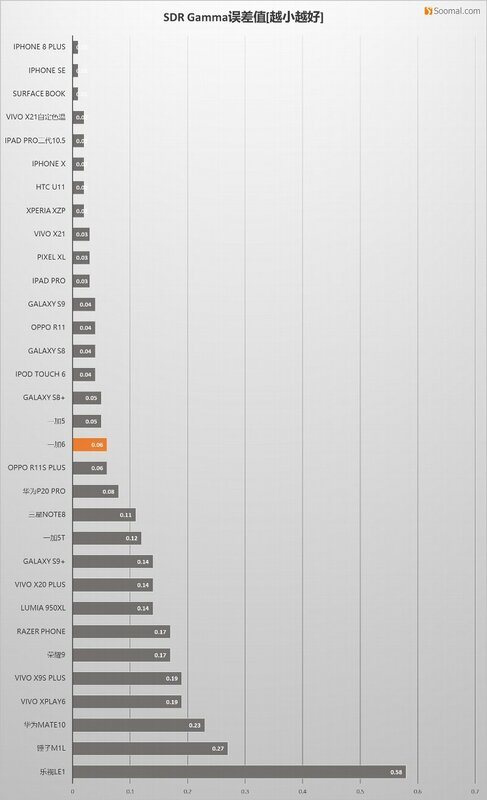 The overall brightness performance is also the best in previous generations. Although the screen panel is not fully integrated with Incell, the screen is not fully integrated. 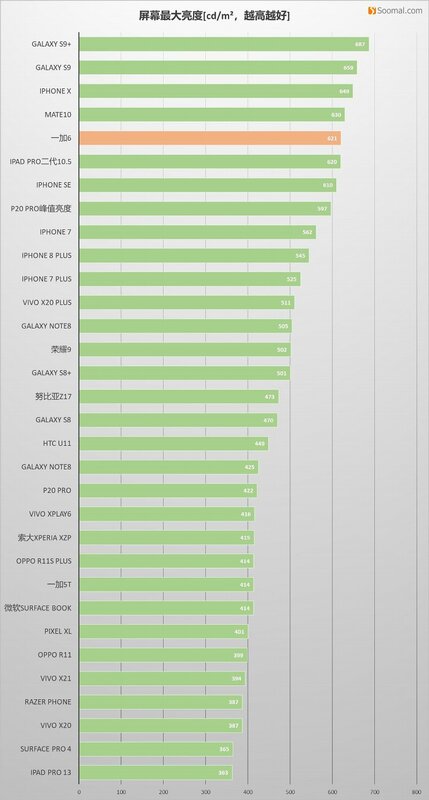 Reflective or slightly "greasy" feeling, but the improvement of color dynamics and peak brightness makes the performance of One Plus 6 on the mobile phone at 3,000 yuan price is already worth the money, P3 and adaptive mode also reach the standard P3 or NTSC color gamut The performance in video, gaming, and other entertainment applications is also satisfactory. Of course, if the color temperature control of the screen can be more accurate, it will be more valuable to improve the color contrast of the photo.